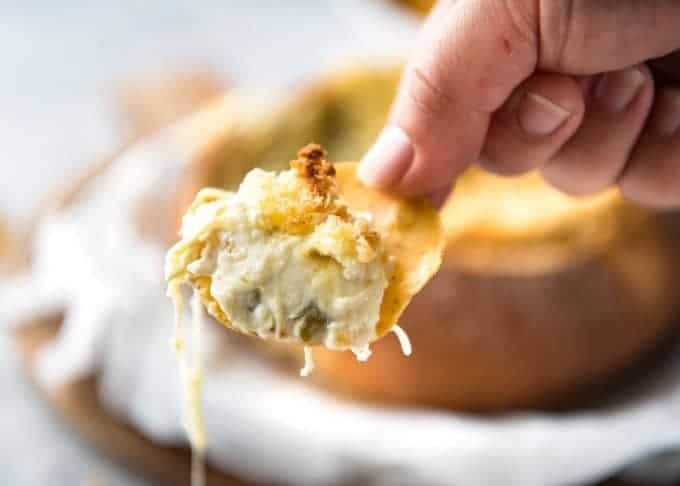 Creamy, cheesy and with a nice kick of heat from jalapeños, this Jalapeño Popper Dip is the stuff that snack monsters dream of! 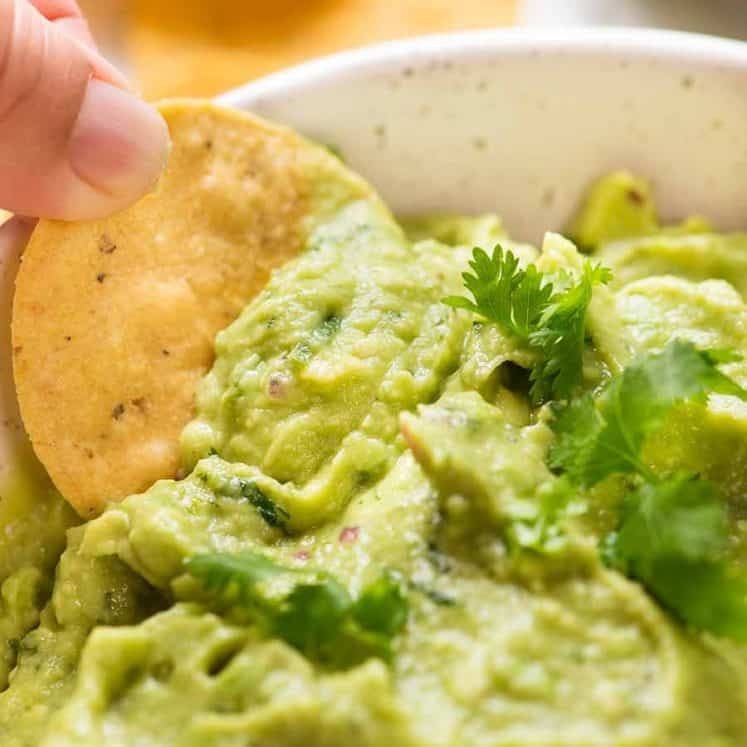 While most recipes are made using fresh jalapeños, I make mine with canned because I find that the slight tang of pickled jalapeños is perfect to cut through the richness of the creamy dip. 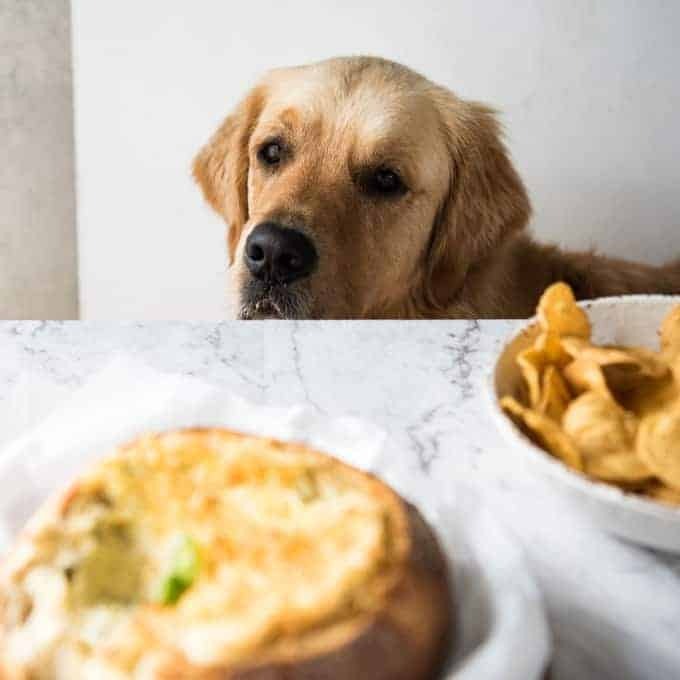 Serving it in a bread bowl is optional. Skip it if you want to avoid a brawl when everyone fights over who gets the dip soaked crust – arguably the BEST part!! My very favourite recipes are those with Food Memories, and this one is my latest and greatest one, concocted after my last trip to the States last month. Food blogging as a job is somewhat unique. You can roll out of bed and work all day in your PJ’s. You can work from anywhere. It’s thoroughly unglamorous and my kitchen starts every day nice and clean but my 11 am looks like a war zone. But on the flip side, no matter how advanced technology gets, it will never replace meeting people in real life. I firmly believe that, and that’s why I’ve come out from behind my keyboard and made the effort to meet other food bloggers in person. My first foray into this was when I organised a food bloggers conference in LA in November 2015. And then I went back to LA last month to spend time with friends and also for a small gathering of professional bloggers from Canada and across America. 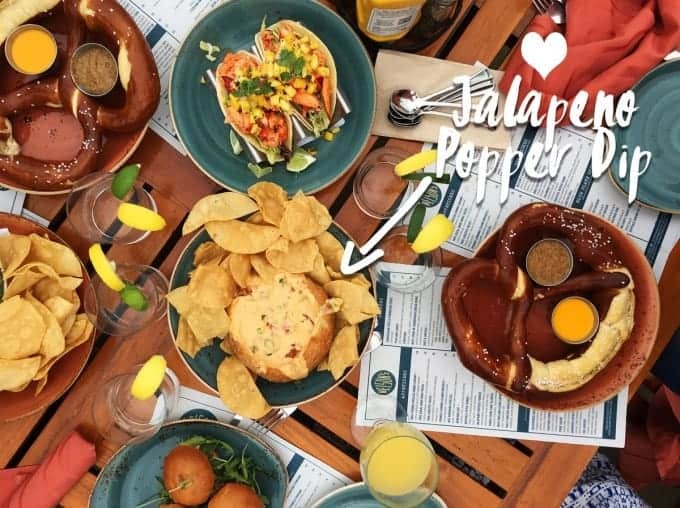 Say HI to my friends, Meggan from Culinary Hill, Jen from Carlsbad Cravings, Holly from Spend With Pennies, Rachael from Eazy Peazy Meals and Chelsea from Chelsea’s Messy Kitchen! 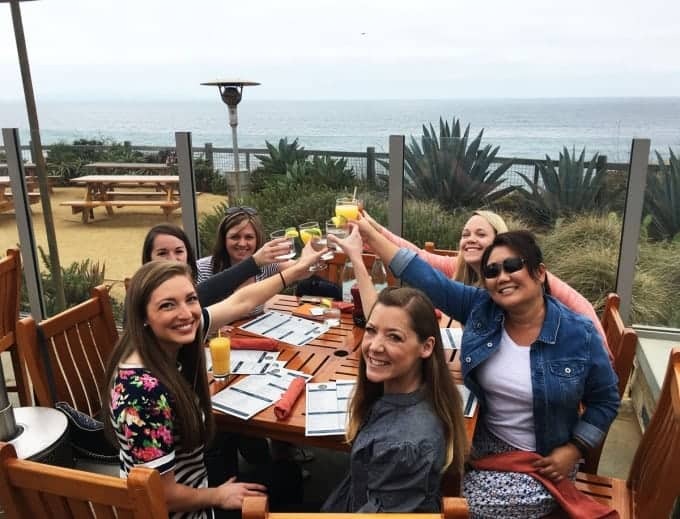 Our gathering was hosted by a wonderful resort in LA called Terranea Resort. There are not enough words to tell you how amazing our experience was. Luxury accomodation yet a “home away from home” feel. Impeccable, friendly service. Set right on the coast and feels like a private tropical escape, and yet it’s just 15 miles from LAX. If a picture can say a thousand words, then videos can say a million. And rather than littering this post with gazillions of photos, I’ve put together a little video! So. Much. GREAT. FOOD!!! I can honestly say that it is rare to spend 4 days at a resort and say that there was not a single bite that I didn’t love (and there were many bites of many things!). 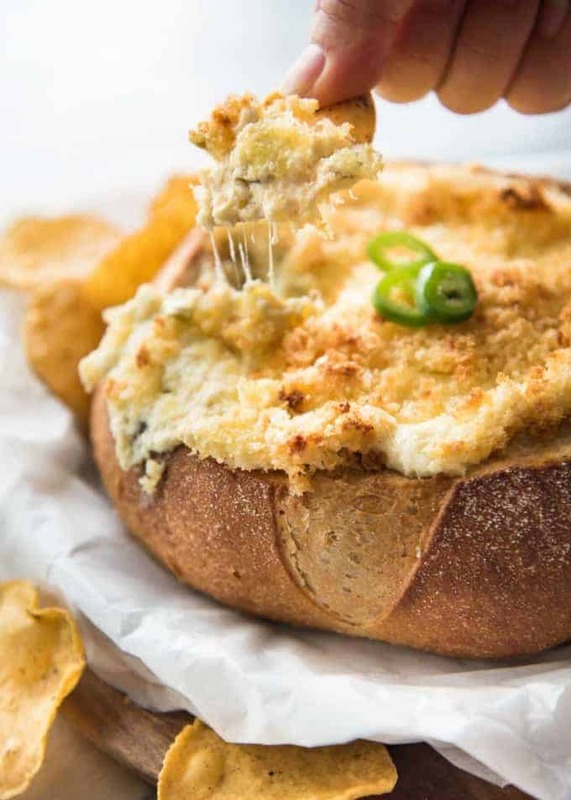 But when it came to recreating one thing when I got home that would remind me always of my time at Terranea, there was no contention: this Jalapeño Popper Dip. For this cheese loving, snack obsessed Carb Monster, it was a winner from the first bite. It’s warm and cheesy with a little kick of heat from chopped up pieces of Jalapeño. It’s basically a dip form of Jalapeño Poppers (jalapeños stuffed with cream cheese, coated with breadcrumbs then deep fried. SO GOOD!!!). As you can see from the photo above, the Terranea version is a bit orange which I suspect is from American Cheddar Cheese which is more orange than yellow (which is what we have here in Australia). 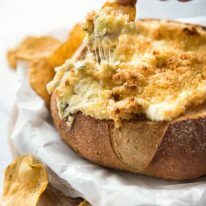 Also, I wanted to make mine with a cream cheese base which bakes up beautifully because I wanted to bake mine in the bread bowl WITH a panko breadcrumb topping. For the full Jalapeño Popper experience, I feel a breadcrumb topping is essential! Jalapeno Poppers - in dip form! 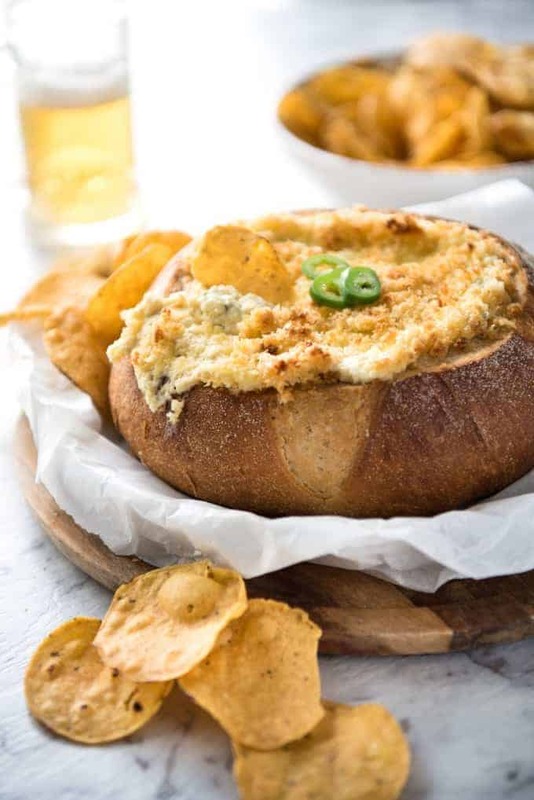 This dip is warm, creamy and cheesy with a lovely kick from the Jalapeños. It's not overly spicy because the jalapeño is balanced out by the creaminess. Most Jalapeño Popper dips have similar ingredients except I use canned rather than fresh jalapeños. The slight tang from the brining liquid is great to cut through the richness of the dip. Also I use slightly more sour cream than most so the dip stays soft even when it cools. This makes 4 cups of dip, enough for 1 large cob loaf (put leftovers in ramekins and make smaller ones). Cut the top off the bread, use a small knife to cut a ring and pull out the bread to form a bowl (leaving a 1cm / 1/2" border/crust). Place bread on foil. Mix together cream cheese, mayonnaise and sour cream. Add remaining Dip ingredients, mix combine. Pour into bread bowl. Mix together butter and panko. Sprinkle over top of dip. 1. I found the bake time was 15 minutes LONGER when I made this using a sourdough bread because it is denser so it took longer for the middle of the dip to heat up. If you get impatient, just pop it in the microwave (after baking it). The bread stays crispy but the inside gets molten very quickly. I did this when I made it a couple of weeks ago, it was actually rather handy to speed up the bake time. Also remember that if the wall of the bread bowl is thicker, it will take longer to bake. Note the Cob bread shown in the photos is smaller than what I usually use because for some weird reason, both bakeries were sold out of normal round Cobs on the day I made this for the photo so I had to make do with a slightly smaller one. So I had excess dip which I just popped into a ramekin. 2. BAKING DISH: This can be made in a baking dish if you prefer. It does not need to be covered and will only take around 25 minutes in the oven until it is golden brown on top and bubbling. 3. 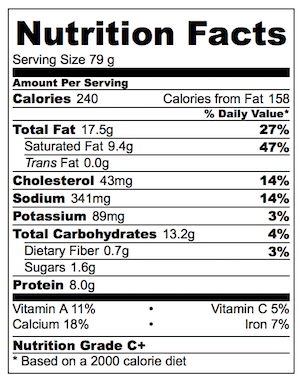 Nutrition per serving, assuming 10 servings (about 1/3 cup per person). 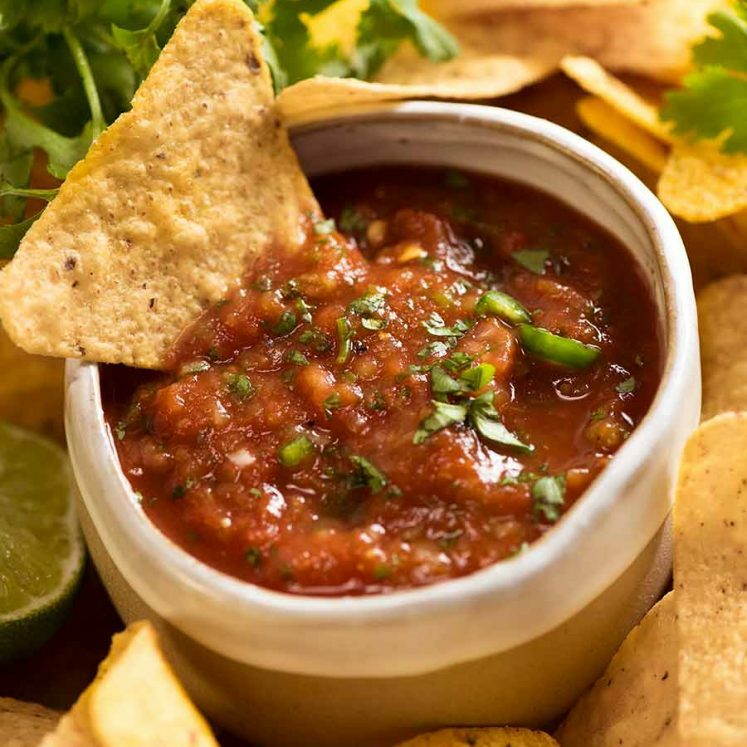 Dip only, no chips. 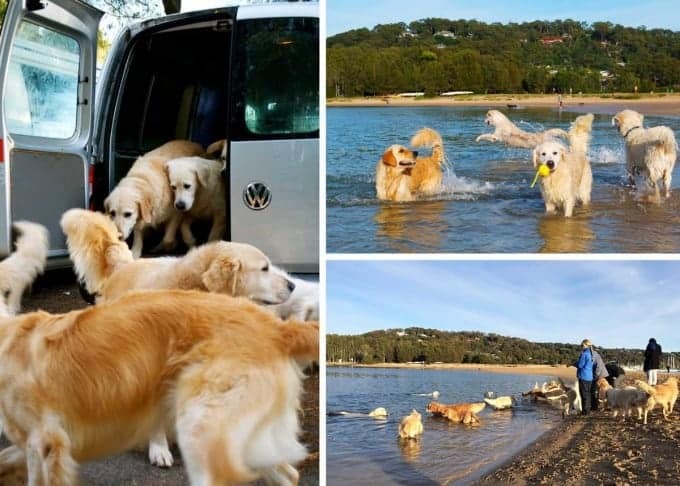 Life of Dozer: I spy with my little eye…..
PS When I go on holidays, Dozer gets a holiday too. He stays with a Golden Retriever boarder. He lives like a king, has the run of the house, “his” spot under the dining table (clever boy), and sleeps in front of the fireplace. I receive daily reports that there are no signs of depression or any evidence that he misses me at all. 🙂 This is his clan! I was not compensated for this post, however, Terranea Resort provided us with complimentary accommodation and some meals to experience their resort. I am under no contractual or other obligation to provide a favourable opinion about my experience at Terranea Resort. As you can see in the video, I had an incredible time and I wanted to share my experience with you!! Woah that’s a great idea!!! It was very good, next time I will double jalapenos tho! We loved your pickle dip so we thought we’d give this one a try. It was the hit of the party. No one could stop eating it! Crazy tasty. Thank you!!! I made this over the weekend and it is CRIMINAL. Oh my goodness, it’s so goooooooooooooooood. G’day Nagi. 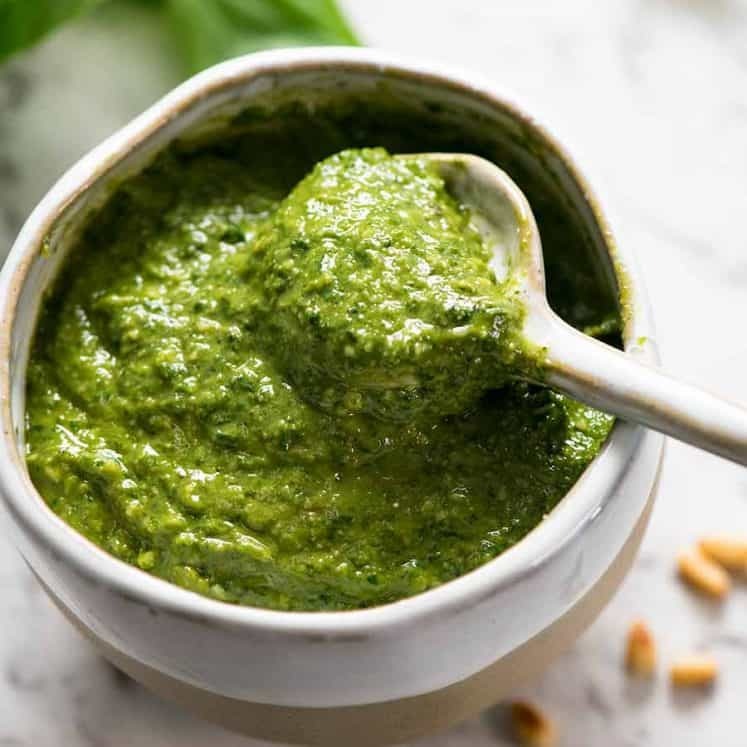 Any drama preparing the dip in advance and refrigerating? Would mean I don’t have to cart as many ingredients to an upcoming party. Just pour into Cobb, top with crumbs and bake. You said u can use a microwave after baking, for how long. Could i bake it at home. and take to work, and use m.w. there for a few min. hi Cecilia! yes that’s perfect 🙂 Bake t home to get the top golden, then microwave until it starts bubbling on the surface, indicating it is hot! I microwave from cold for about 3 minutes on high. Oooh, hope you love it Cecilia!